Protein, good carbs, veggies, oh my! Is everyone loving that it's Summer!?!?! Does this salad not remind you of summer? 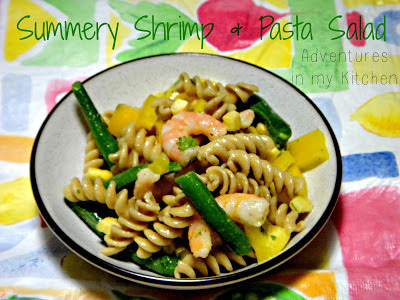 Bright veggies, cool shrimp, and whole wheat pasta all tossed in a tangy lemon vinaigrette...yumm. It's a healthy addition to any BBQ or picnic. 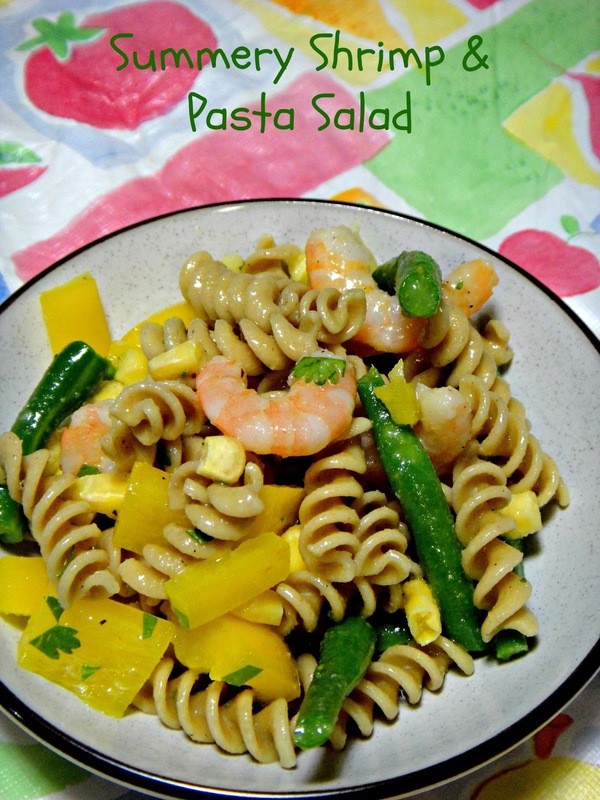 This salad will keep your wallet fat, but not your waistline! Heat oil on medium heat and saute shrimp with garlic powder. When shrimp are completely pink, remove and set aside in a bowl to cool. 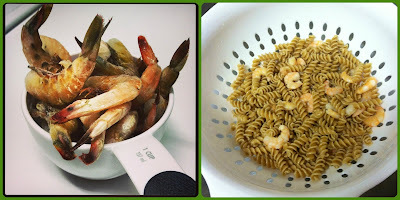 Boil noodles to just past al dente- drain and set aside to cool. Blanch green beans in boiling water then shock them in ice water to stop the cooking, and set aside to cool. Make vinaigrette while cooling-- combine all ingredients into a plastic container with lid, close the lid and shake it like you mean it! In a large bowl, add all ingredients and pour vinaigrette on top. Toss to coat. Set in the fridge so everyone can get friendly. Serve cold. When I reach 500 fans I'll be having a Big 'Ol Giveaway! Looks good! Thank you for spreading JOY and sharing at the Oh What a HAPPY Day party. Yummy!!! Thanks again for coming by and linking up with Pin It Tuesday!